US Navy photo by Mass Communication Specialist 2nd Class Patrick Ian Crimmins/ReleasedCapt. Peter Nilsen, commander of guided-missile cruiser USS Philippine Sea, oversees operations from the ship’s bridge, June 14, 2017. Western officials have expressed concern about Russia’s increasingly active navy. Russia’s naval forces have grown in size and sophistication after declining in the years after the Cold War. Russia is now making more use of electronic-warfare tactics at sea, according to the Navy’s service chief. Officials from the US and other NATO navies have warned repeatedly about increasing Russian naval activity around Europe and in the Arctic and North Atlantic oceans. 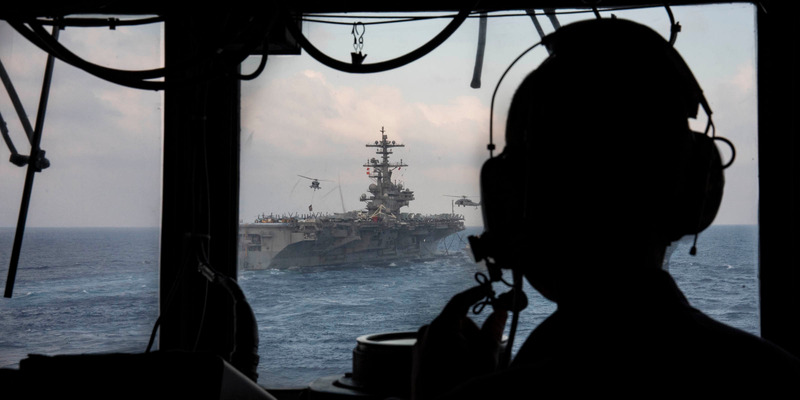 Those Western forces have scrambled to beef up their submarine and anti-submarine-warfare capabilities, and the US Navy recently reactivated its 2nd Fleet to oversee ships, aircraft, and personnel in the northern Atlantic where much of this confrontation is expected. According to Richardson, another feature is adding to the complexity of that environment. US Navy/Chief Mass Comm Specialist Rafael MartieUS Chief of Naval Operations Adm. John Richardson speaks with Suffolk Area Information Warfare Command’s Defence Department civilian employees and sailors during an all-hands call, March 2, 2018. US sailors are increasingly having to defend against Russian electronic-jamming devices like those seen in action in Syria, Richardson told Voice of America, saying that such jamming had “absolutely” been experienced in international waters. “This is an emerging part of our business now,” Richardson said. Richardson did not go into detail about what sailors have encountered, the types of platforms affected, or what effect that jamming had. But electronic-warfare attacks can disrupt navigation systems and interfere with communications and data links that the US Navy uses to target other ships, planes, and bases. A spate of Navy accidents in the Pacific in 2017 raised concerns that electronic warfare was involved, though Richardson said last year that no evidence of that was found and Navy reports indicated human factors were to blame. Russia is believed to have expansive electronic-warfare capabilities. Those EW units are numerous, well equipped, and work well with other branches, like air defence and artillery. Russian forces have also gained experience with electronic warfare on the ground in Syria, which has become a kind of test bed for the Russian military. Richardson is not the first Navy leader to warn about electronic warfare at sea. 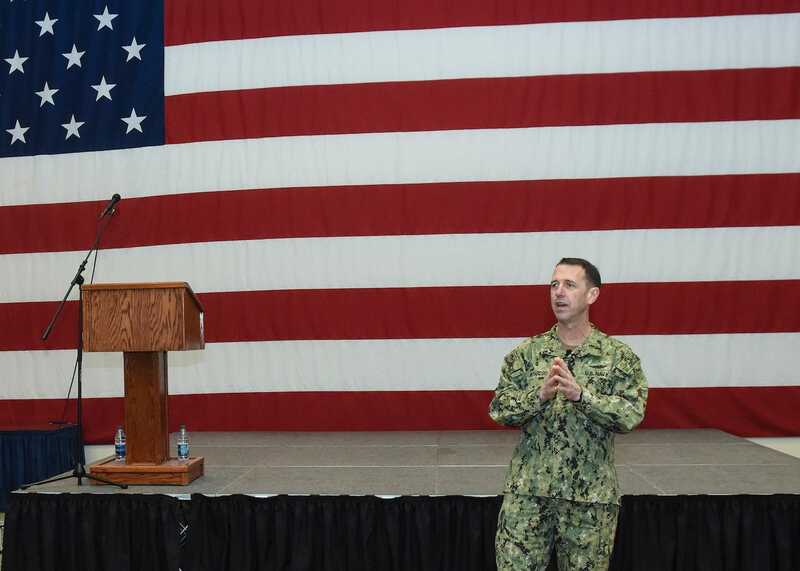 Adm. Jonathan Greenert, a career submariner who preceded Richardson as chief of naval operations,said in early 2013 that cheap jammers, signal detectors, computer processors and radios would make it easier for unfriendly forces to act across the electronic spectrum. The Navy has the AN/SLQ-32, an electronic-warfare system that has been deployed in various forms for decades. The system has gotten several upgrades to boost ships’ abilities to detect threats, thwart adversaries’ offensive EW abilities, and to counter enemy missiles. Other NATO naval officials have noted the growing role of electronic warfare in maritime operations. Commodore Søren Thinggaard Larsen, the Danish officer in charge of Standing NATO Maritime Group 1, told Defence News in June that during this year’s Baltic Operations exercise in the Baltic Sea, the crews of the four ships under his command were told to keep their phones on aeroplane mode to ward off hacking attempts.